It's been 4 months since you said you were going to workout everyday. In January, you decided to start running again. Normally, you despise running and are a fan of "the class". You began running on the treadmill every afternoon, including Sundays, for anywhere from 1-5 miles, depending on your mood. This is why you don't like running. No accountability or push. You only began running on the treadmill because this could be done right after school, before it got really dark outside. You don't like being out after dark. Yeah, you're kinda weird. The running went on for approximately a month. Running 6 days a week and Turbokick on Saturdays. Once in awhile, when the ambition struck, you hit up a 5:15am Spin class before school. That was not very often. By mid-February, you were having stomach issues. Pain. Feeling sick every time you ate. The doctors said it was stress and suppressed anxiety. They ran tests and gave you pills. The pills helped, but not before you had taken a couple of weeks off from working out. Sickness will do that to you and it's okay. It's been over 2 months since you've committed to 6 classes per week. You've done it. You've seen and felt the changes in your body. You're stronger. SO much stronger. The best shape you've been in, maybe ever. But now you know. You know what it's like to put in the effort. To have the best body you can achieve (once again, still not giving up the ice cream). To really be in shape. And to know you got that way because you've worked at it and you put in the effort. There's no more wondering "what if" you got off the couch. 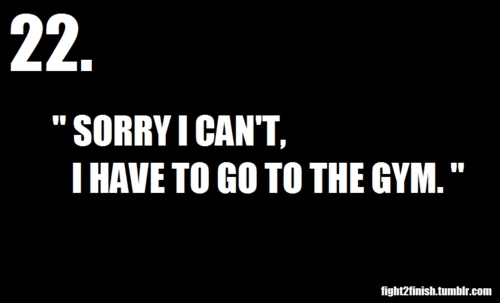 Because you DID get off the couch. 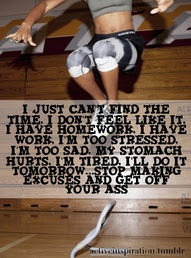 And now you'll continue to stay off the couch because you love how it feels. P.S. Way to make that expensive gym membership worthwhile. Your husband is glad his hard-earned money is being put to good use. Hit up the About Me for more posts on my fitness journey so far this year. Have you made fitness progress lately? Any positive changes in your workout or something new to share? I'm always looking for tips! You rock lady! It's amazing and so worthwhile when you can see a difference in your body AND how you feel. I fell off the wagon on that month long trip but ready to get back into gear and push harder, especially when I go out of town again. Will be catching up on your posts soon! Good work girlfriend! That is amazing!